Lancome has long been a brand that I've admired for several reasons. They have always sought to offer themselves to a wide diversity of shades, skin types, and ages. It also makes luxury products at a much more attainable price point than say Chanel or Guerlain. But most importantly, it holds a special place in my heart for being the brand that I purchased my first blush from, a blush I still keep in my collection even now that it is way past its expiration. So when they created a version of the cult fave Teint Idole formula that us acne-prone gals can actually sport, I quickly high-tailed it to my nearest Sephora and practically stalked this sucker down. 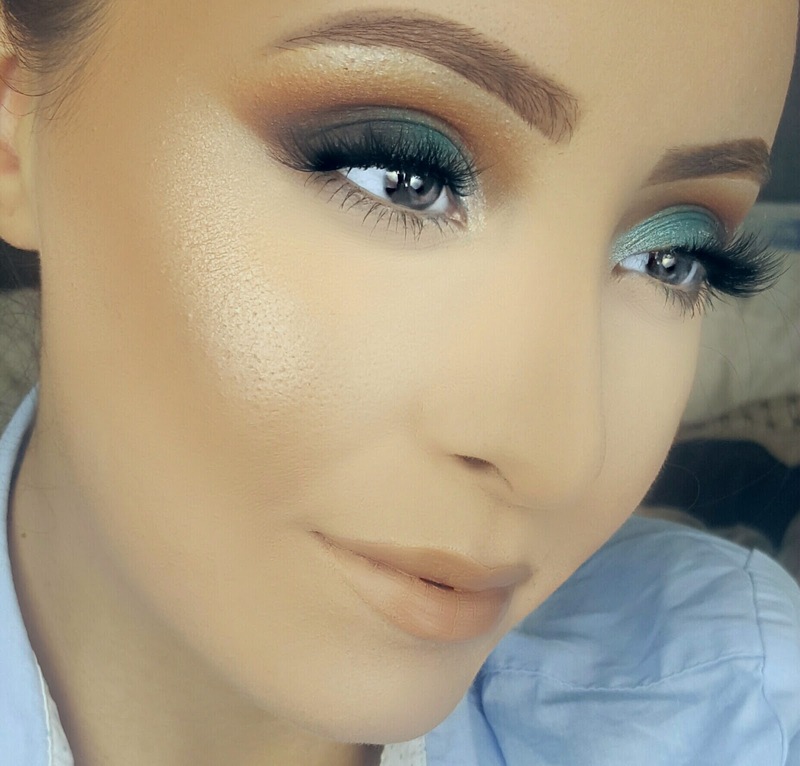 Now let's move on to all the reasons you NEED this foundation, shall we? 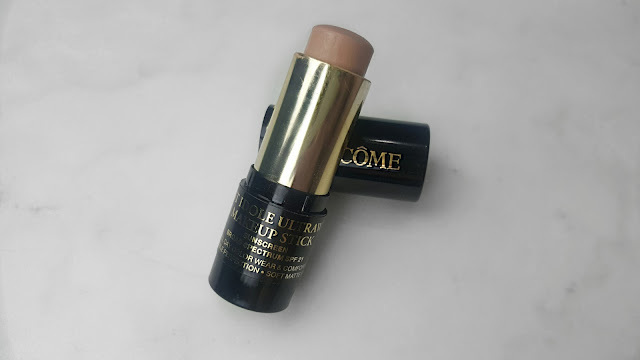 The Lancome Teint Idole Ultra Longwear Foundation Stick is a cream-based stick version of their cult-fave Teint Idole formula. Unlike it's predecessors the Longwear Foundation Stick offers 0.31 oz of product compared to the standard 1 oz for a whooping $42. However, this foundation is the only one in the Teint Idole family that is truly non-comedogenic or acnegenic, containing no ingredients that will cause or exacerbate acne-prone skin. It comes in 20 different shades and is currently available for purchase at Sephora and higher end department stores, such as Nordstrom or Lord and Taylor. 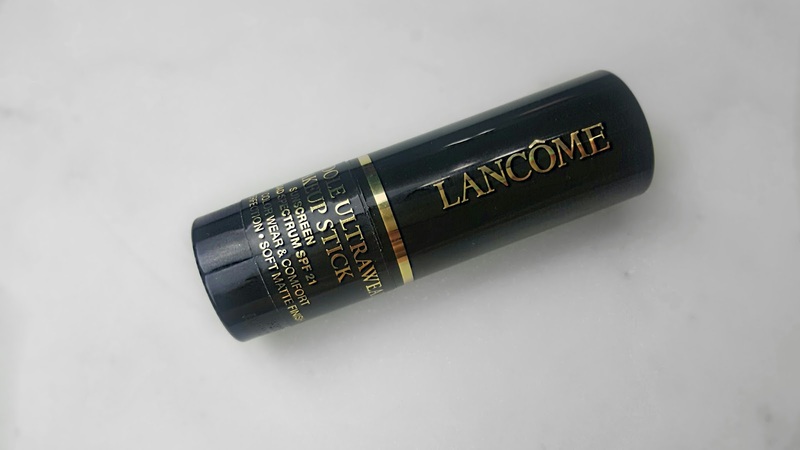 These are the claims made about this product by Lancome on their website, "This oil-free, highly pigmented long wear makeup stick delivers buildable coverage with a natural-looking matte finish for ultra-versatile application: use as a foundation, for touch-ups, as a spot concealer, or to contour. For those long days, full coverage, comfortable long wear… when you need it, where you need it. The foundation's innovative extreme long-wear formula gives all skin tones a flawless, complexion-perfecting coverage. Its ultra-lightweight powder-crème texture blends smoothly for a traceless, second-skin result. Made with porous polymers that absorb excess oils, it leaves the skin looking flawless and shine-free. Plus, with ambora extract, it helps to reduce the appearance of redness. This formula is transfer-resistant and smudge-resistant, so the color-true coverage stays on all day long. Suitable for all skin type, even sensitive skin. This pigment-rich makeup stick is infinitely versatile— with ample coverage to use as a concealer, an even glide for custom contouring, and perfect portability to take with you on the go, it goes beyond your average foundation. All day color wear. All day comfort. Oil-free, fragrance-free, transfer-resistant, smudge-resistant. Non-comedogenic. Tested under dermatological conditions. For all skin types, suitable for sensitive skin. Broad Spectrum SPF 21 Sunscreen. Its 20 shades were developed based on real skin tones so that everyone can find the perfect match." My favorite way to apply this foundation is by striping it on straight from the tube. I put two stripes on each cheek, a stripe on my forehead and chin, and then a small dab on my nose. Then, I buff it in with the Elf Ultimate Blending Brush, which is a flat-top, synthetic brush of medium density and--let me to you--this stuff goes on like butter. I found application with this brush to allow for complete full coverage over dark spots or acne, whereas using a sponge offers much lighter coverage. Simply put: this product preforms beautifully! It glides onto the skin smoothly; lasts through my crazy long, often sweaty, shifts; and gets better with wear. Depending on the kind of day I'm having, my foundation won't start breaking down around my chin until around the 10 or 12 hour mark and that's on my super oily skin. However, those with dry skin should beware because this foundation does cling to dry patches. Though I've only been testing out this product for the past month, it is safe to say that it has already become a staple in my collection, especially as the weather starts to get warmer. This formula sits so beautifully on the skin and, without fail, I've been asked what foundation I use every day that I've worn it because it looks that good. And while you only get 0.31 oz, honestly you don't need much to get a full coverage look, so you're wasting a lot less product. If it wasn't clear already, I highly recommend this foundation to those of you with normal to oily skin. I think you'll absolutely fall in love with it.